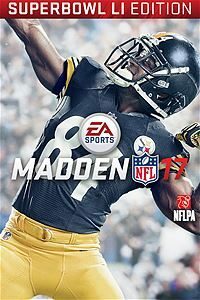 Madden NFL 17 Super Bowl LI Edition On Sale For $19.80! Heads up, you can grab the Madden NFL 17 Super Bowl LI Edition from the Microsoft Store on Xbox One for just $19.80, a huge $40.19 saving, for the next week! If you were considering trying out the game before then this is the perfect time to give it a try! UPDATE: You can now get Madden 17 free on the Xbox One if you own EA Access! Read more here! Get into that Super Bowl spirit before Sunday! And if you're enjoying the game, remember you can buy Madden coins from us, so that you can buy them extra special players! This entry was posted in Madden, Madden Ultimate Team and tagged EA Access, Free Madden Game, Microsoft Store, Xbox One Madden Coins, Xbox One Madden, Xbox One Coins, Xbox One, Super Bowl Edition, Super Bowl, Microsoft, Cheap Madden 17, Buy Madden Coins, MUT 17, Madden 17 Ultimate Team, Madden 17, Madden Ultimate Team, MUT, Madden, Madden Coins, MUT Coins on 1 February 2017 by Luchia Houghton.